This article covers the information released so far about Hemwick Graveyard. For an overview about the story so far, see this article. 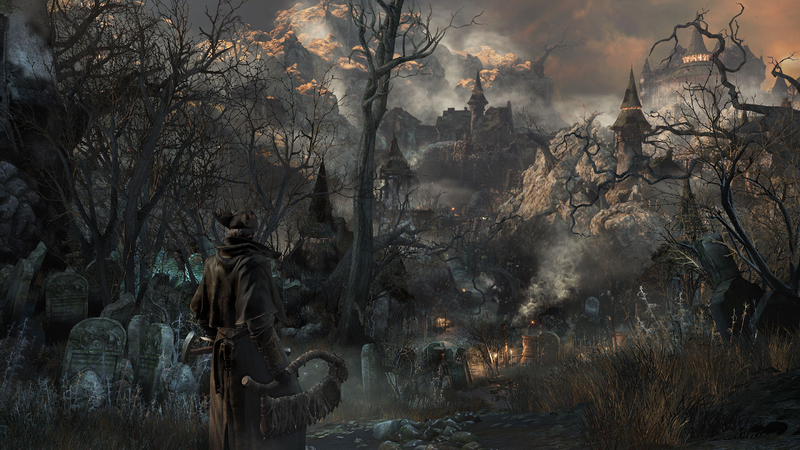 On the outskirts of Yharnam is the large Hemwick Graveyard, populated by tombstones both small and large. These are not the only residents, however. Terrifying creatures, the graveyard hags, call this place their home. Chief among them is the Hemwick Witch, who dwells in the depths of Hemwick in an old manor. Here, the Old Witch performs strange and mysterious rituals using the eyes of the living, which adorn her robes in a grotesque display. What are these rituals The Old Witch performs with human eyes? Did the Old Witch appear before or after the beast plague began in Yharnam?